Recently I need to reinstall Windows XP. 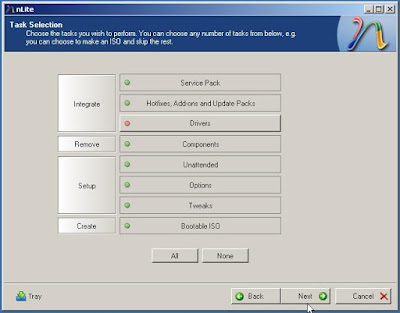 I know it will take some times to install services packs and IE7, Windows Media Player etc. Is it possible to make a CD that includes these things, so I won’t be bothered by installing them after finish the Windows XP installation? 1. Install Nlite and Wmp11 slipstreamer, you may need to install .NET Framework V2.0 first. 3. 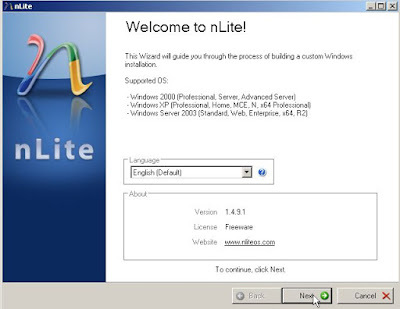 Run Nlite, in the welcome page, select language. 5. In “Presets” window, use one of the previous settings (if you have) or just click “next” button. 6. 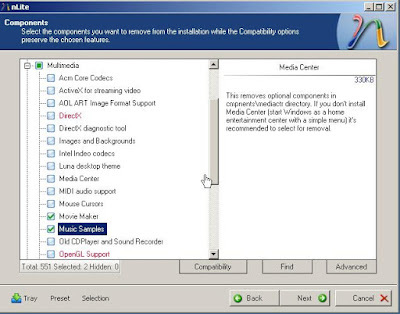 In “Task Selection” window, click “All” button, then click “Drivers” button, which means I don’t integrate particular drivers to this CD, because I may use this CD to install my uncle’s computer that has different video card and sound card. 7. 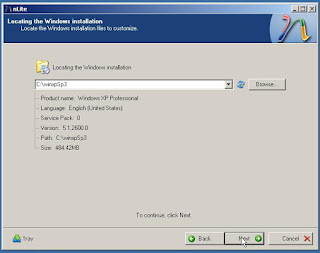 In “Service Pack” window, select the sp3 file “WindowsXP-KB936929-SP3-x86-ENU.exe”，Nlite will automatically extract and integrate sp3 to the xp distribution folder(c:\winxpSp3). After the integration, the version number has been changed. 9. In “Components” window, I simply selected “Movie Maker” and “Music Samples” because I never use them. You can remove more unused components if you want to. 10. 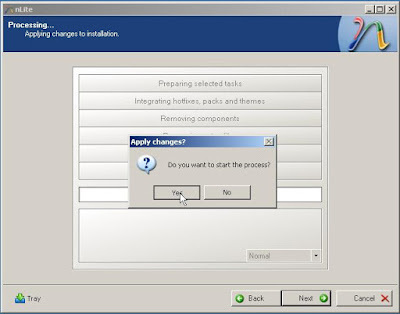 In “Unattended” window, you can provide answers to all of the questions that xp normally asks during the installation. In “General” tab, enter the Product key, I also turn off firewall and Hibernate because I have Symantec firewall and I think Hibernate is useless. 11. In “RunOnce” tab, you can add some commands here, and they will be executed on first user logon. Think about this, if I put a Trojan horse here, and release this combination CD to Internet, someone download and install it, what happens? Haha, you’re on my control. 12. In “Users” tab, enter password for Administrator. I also added a user for daily uses, it is not good to log on as administrator all the time. 13. In “Regional” tab, select the Time zone. 15. 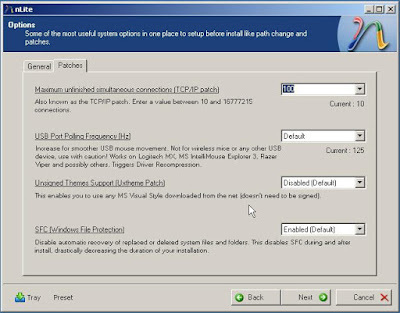 In “Options” window, I only changed the “TCP/IP patch” to 100, it will certainly speed up my emule and BT. 16. In “Tweaks” window, I selected to show “My document icon” and “My computer icon” on desktop; there’re so many items you can select. 18. When the process go through Windows media Player installer, Nlite will automatically run wmp11 slipstreamer to extract and integrate wmp11 to distribution folder. 19. Next window is making Bootable ISO, you can either create image or burn it directly, I suggest creating an image, and then you can test it using Vmware or Virtual PC. Enter a label name, click “Make ISO”, select the location of ISO file. 20. Now you have a bootable ISO image of Windows XP SP3+IE7+WMP11! Before you burn a CD with this image, you’d better test it with Vmware or Virtual PC, because exception is not predictable, install it in a Virtual machine, and see if it runs well.